Reeves paint will bring rich vibrant tones to any project you are looking to start or wanting to add to an existing project giving new colour tone and depth. The watercolours are a great idea for children to use with school projects and to learn how to mix the colours together and be creative. The watercolour paints can be soft, delicate to vibrant depending on the project you are creating and when it is applied to watercolour paper. This is a versatile paint and ideal for students or any budding artists who like to experiment with colours. 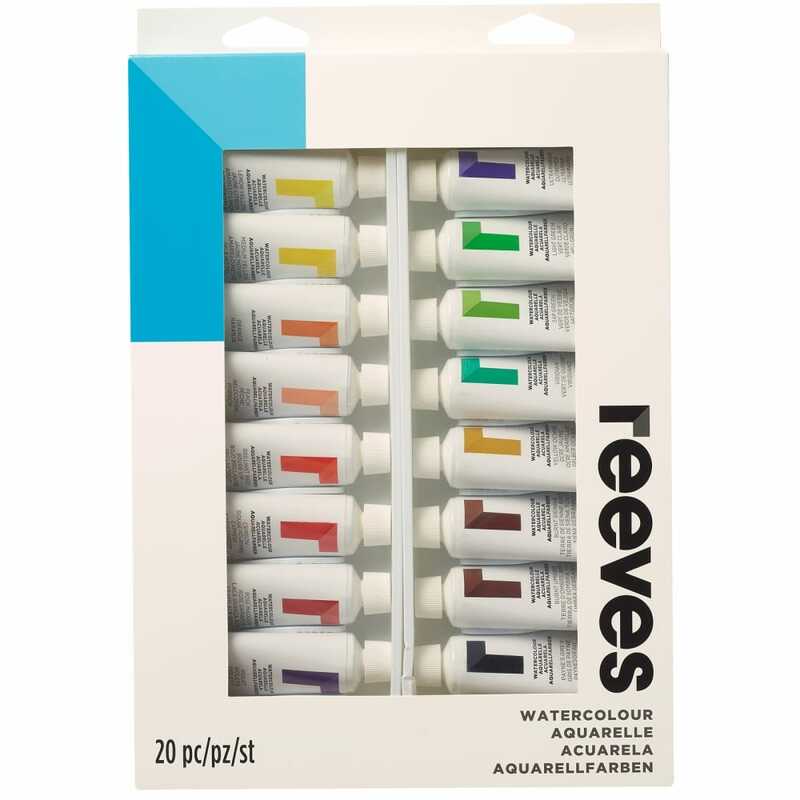 The paint is applied by brush, the 20 x 22ml tubes will be perfect to add to your already growing paint collection, ideal for schools, college and art workshops. Colours: Violet, rose madder, crimson, brilliant red, peach, orange, medium yellow, lemon yellow, light green, phthalo blue, ultramarine, sap green, viridian yellow ochre, burnt sienna, burnt umber, paynes grey, ivory black and titanium white. 20 x 22ml watercolour paint.